Broken links (404 error/bad host) is one of the most dangerous problem that can befall a blogger, have you ever imagine why you Google search audience keeps reducing as day passes by, definitely it's all because of broken links and if it is not fixed then there will be a lot of tragedy that will befall on you. Do you think that someone who's in his or her real sense will like to click on a blog that has broken links? Aside that, Google itself detests it as well and also removes any blog/site that has broken links from the search engine or rather the person's post will be seen at the last pages of the item you searched, though you might have used the exact keywords you used in making the most post but you post can never appear at the first page of Google search. I've once heard that Google show articles based on Sites, WordPress then Blogger. No it's not true, the problem that your facing (not getting audience from Google) is on your hands, it depends the keywords you use, also if you don't have broken link. However broken links occur when you delete or drafted any post, and if you had previously make interlinks (Also check, Trending, Also Read etc) on some of your older posts then this problem of broken link occurs. To find broken links is never easy if you're to do it manually and can consume a lot of time (i.e if you really know where broken links occurred in your blog), I've managed to make it more easier for you and to be able to detect broken links (404 error/bad host) in your blog with some of the best online tools. Guess that this will be an easier means for you to know where broken links occurred and how to amend them. 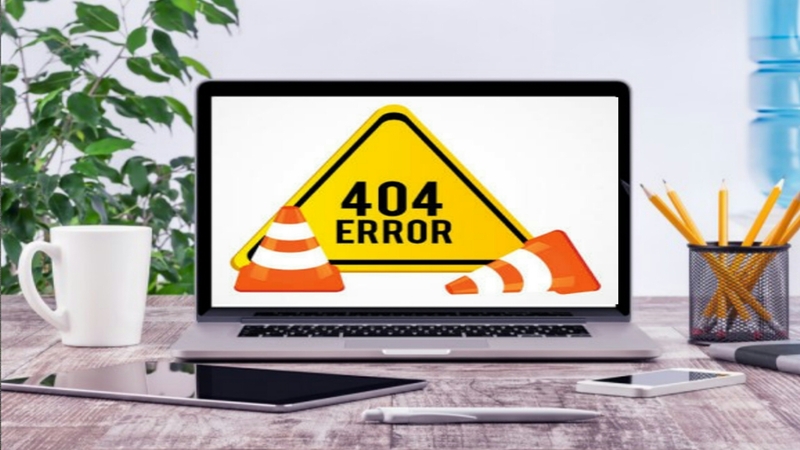 Without wasting much of your time, here's how to find and fix all the broken links on your websites to enable you get rid of 404 error. This one of the best online broken link checker, it'll help you to be about to trace where you have broken links as well as give you the direct link to the web page in your blog/site the broken link is noticed. Not just that but also will indicate to you if you have bad host comments on your blog. However, this particular tool is the one i used to fix the broken links/404 errors I've been having on this blog. I tried it, it looks and works good for both PC and mobile phone users. I see this broken link checker as a good idea that can help in development of any blog or site. Try it and see how many errors/broken links that are in your blog. This broken link tool is regarded as one of the best online broken link checker you can try, it's easy and simple to use. I tried it as well but didn't make use of it, hence I've already fixed my broken links using Broken Link Check before i came encounter with it. However, the result turns out to be accurate and all the broken links in my blog has been fixed. So i suggest you can still try this link Checker as well because it'll definitely be of help to you and for you to get rid of 404 errors in your blog. This is another best online tool you can definitely use to get rid of 404 errors in your blog/site - however, with this tool you can check your whole blog pages or better still, you can still check a single page as well. Isn't this a good idea, I'm sure most of you will go for it. Anyways, i don't have much to say about this but I'm sure that it'll definitely help most of you in fixing the broken links in your blog. Broken links affects blogs SEO so badly and that's one of the worst tragedy that can befall any web developer - However, broken link issue can be fixed and get your blog back in track, why not try it the above online broken link checkers to how to detect broken links in your blog and get rid of 404 errors.